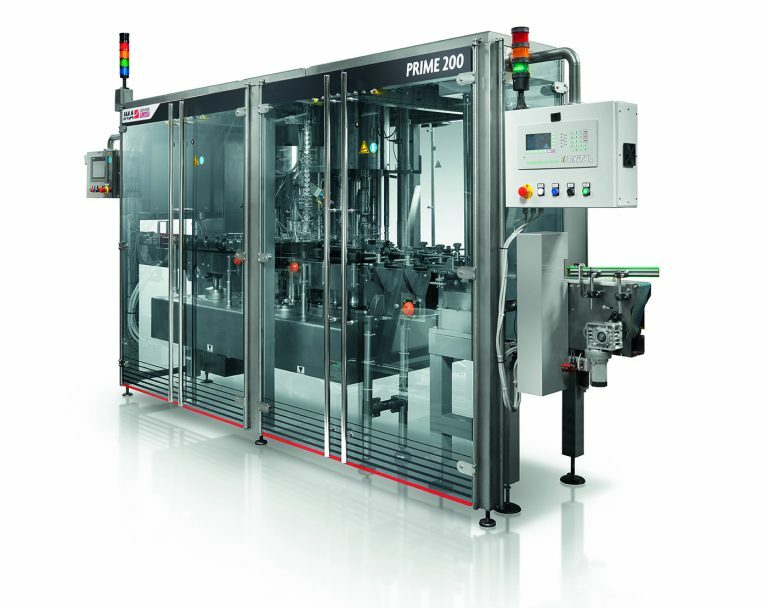 Handling rigid containers with a 50 to 750 ml capacity, Prime 200 is a cleverly designed filling and capping machine making widespread use of stainless steel. Built in AISI 304, the basement slopes to encourage drainage while all parts in contact with products are made of AISI 316L. Design also plays a key role in reducing water and cleaning agent consumption during washing cycles. 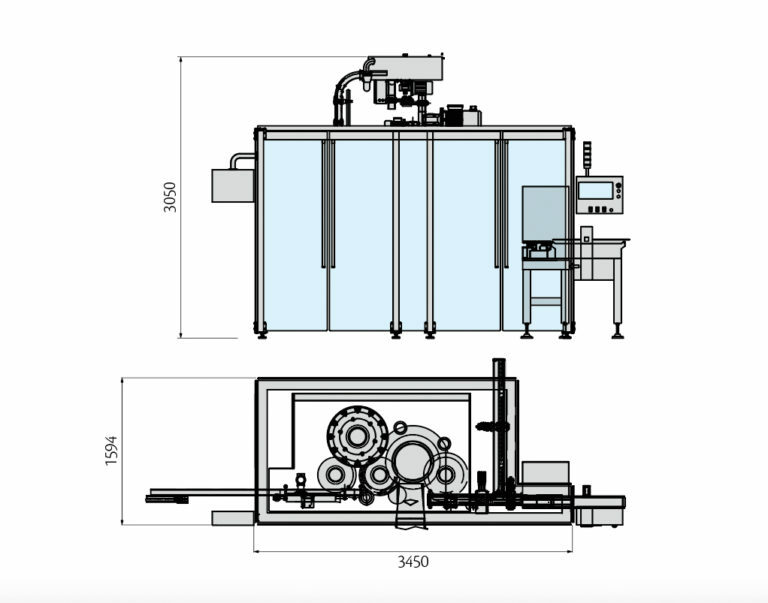 Different dosing systems available: piston filler with servo motors and magnetic or mass flowmeters. Safety barriers separate from the machine frame. CIP and SIP with automatic or manual dummy bottles. Universal electronic capper for press-on or screw caps, with positioning and torque control (optional). Format changeover without tools as an option. Optional pentabloc version with labeller integrated before or after filling available.